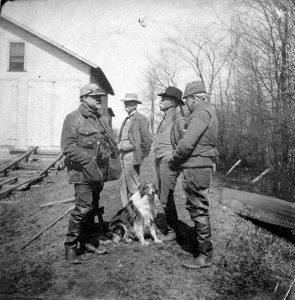 Sportsmen in front of Pittsburgh Gun Club at Baum’s Bridge. built throughout the Kankakee Marsh by business and civic leaders of our great nation. 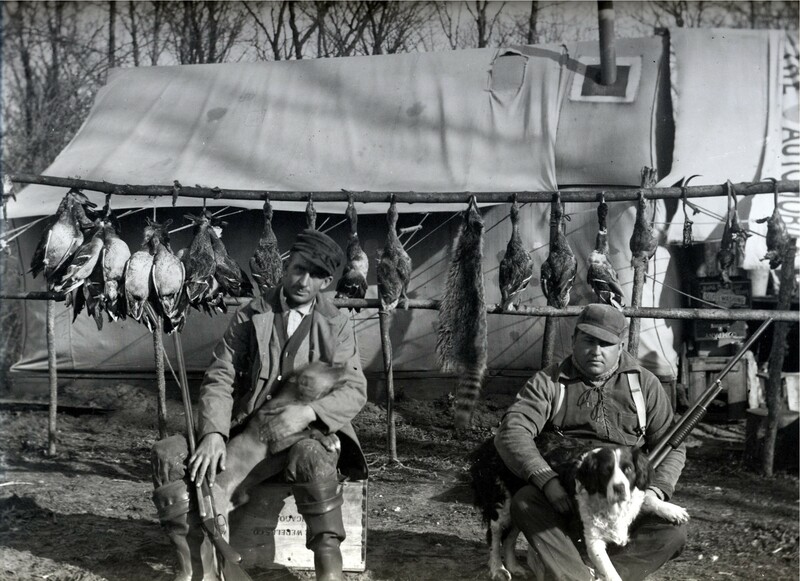 By the early 1900s many of those private hunt clubs were being sold into private ownership. Many the former clubhouses were now private homes or businesses servicing the needs of individual hunters. 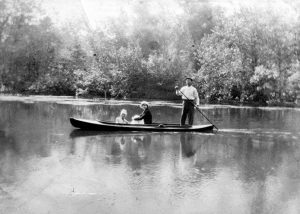 Growing attraction to the adventure of hunting the Kankakee Marsh created a demand for experienced “Pushers.” The shallow depth of the Kankakee required many of the Kankakee boats to be pushed with long paddles instead of rowing; hence the term “pusher” sprung. Previously, many of the clubhouse hired managers who also acted as guides for the sportsmen. Now, numerous pushers opened their homes to hunters for lodging and act as guides. 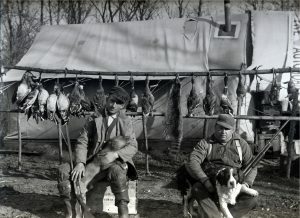 On March 6, 1904 the Indianapolis Journal ran a story titled “Duck-Hunting Season at Hand and Sportsmen Prepare for Outing’s.” The article began: “Duck hunting is one of the things not carried on extensively around Indianapolis, except along White River, and when the ducks begin to fly hunters can be seen along the banks and out in boats. However, the majority of local hunters go to Water Valley, which is on the Kankakee River, where the sport can be enjoyed in the right way.” The Journal hired renowned guide Sandy Sollars to pilot the reporter. 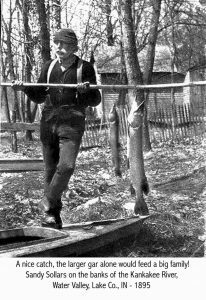 Much of the research for my River Bits columns comes from historic newspapers. I am surprised by the number of mentions of finding the remains of unfortunate hunters or hunters simply not returning home from the marsh. 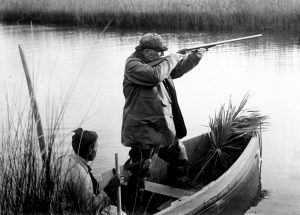 The Indianapolis Journal’s article made clear the need for a guide for those new to hunting the marsh. 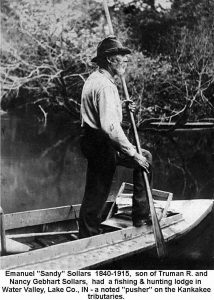 The Journal’s reporter was blessed to be directed to long time Kankakee Marsh “pusher” Sandy Sollars. 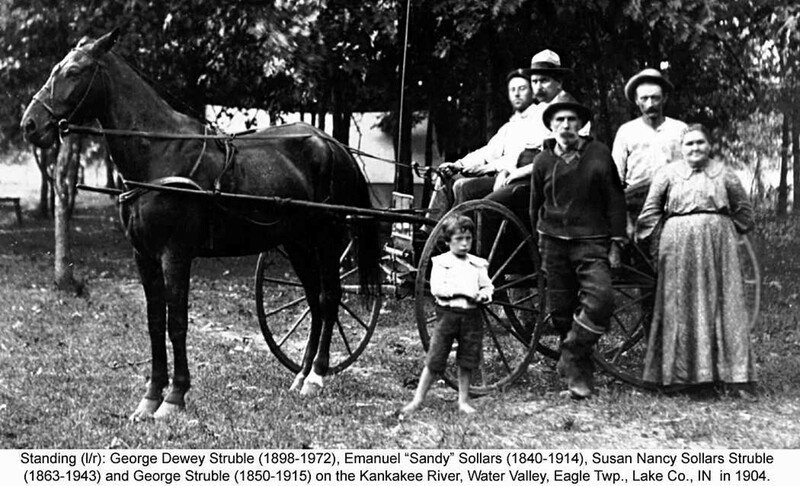 Emanuel “Sandy” Sollars was born in about 1841 in Eugene, Indiana to Truman and Nancy Gebhart Sollars. 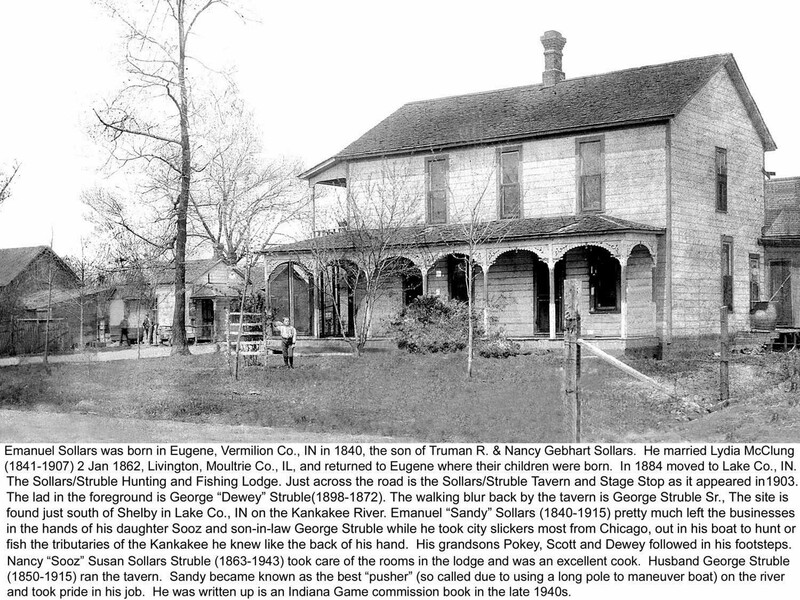 In 1862 Sandy married Lydia Amanda McLung. Sandy and Lydia had six children, but only two survived to adulthood. 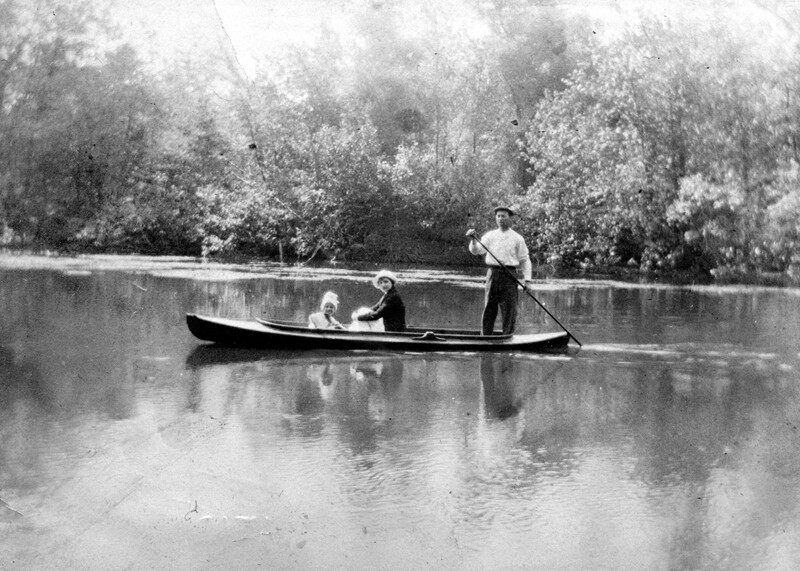 The Sollars moved to Water Valley in south Lake County, Indiana in the 1880s. 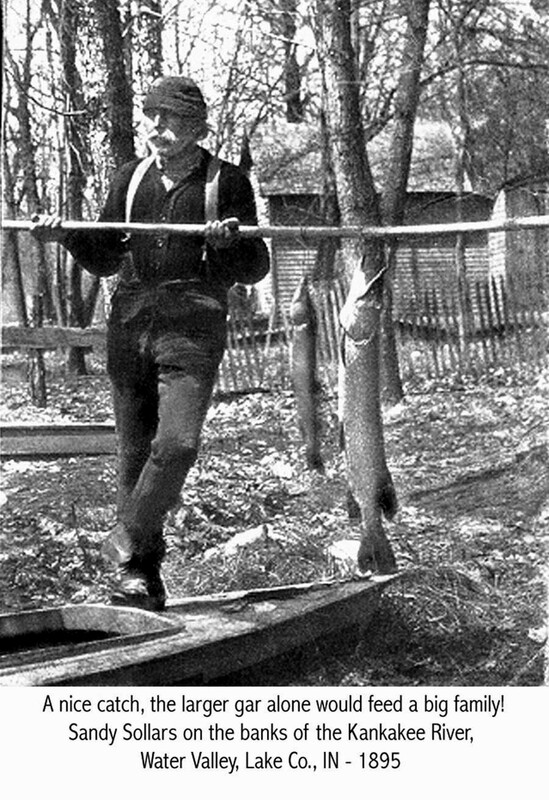 Sandy and Lydia owned a large home which they made into a hunting lodge. 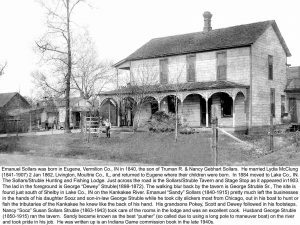 Sandy also owned a tavern and stagecoach stop across the road from their lodge. 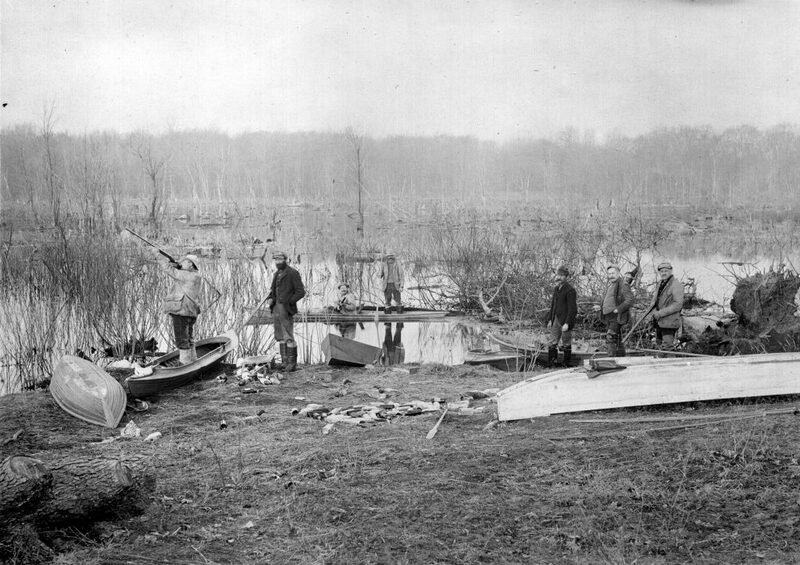 It was from here that he guided the sportsmen to hunt the marsh. 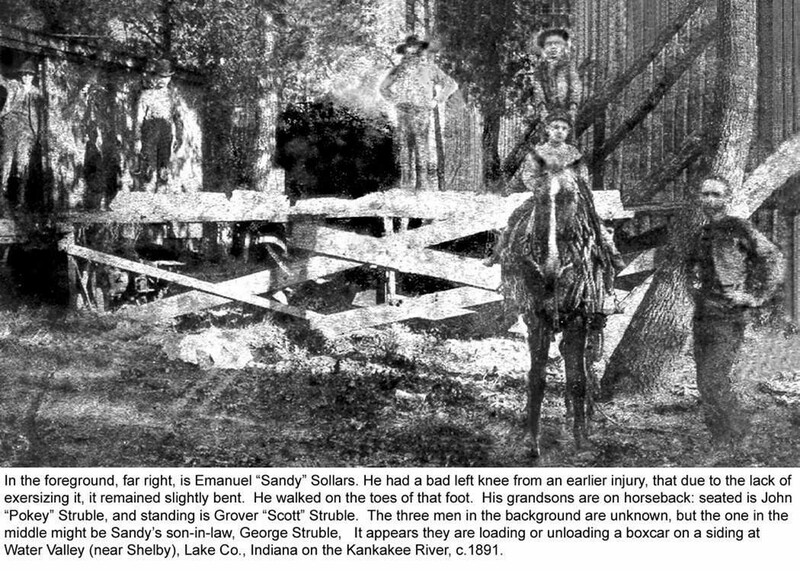 Sandy Sollars passed away on February 15, 1915 in Shelby, Indiana.